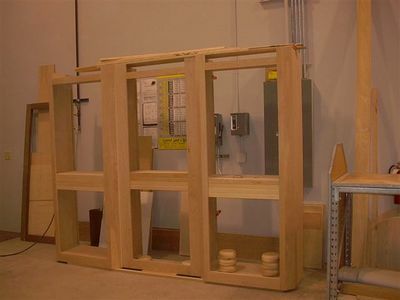 Mill-cabinet work is a highly skilled occupation calling for precision. Once a craft of small shops and independent tradespeople, it has evolved into a group employed in various exterior work crews, mills and factories. Creating onsite woodwork, cabinetry and decor in malls, banks, hotels, office buildings and exhibition areas are projects requiring cabinetmakers talents. They cut, shape and assemble wood products (moldings, panels, furniture) as well as fabricate store fixtures (exhibits, display cases) using metal, plastics and glass. 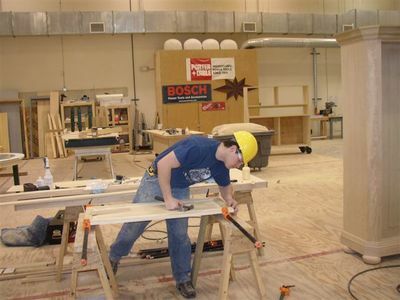 Equipment skills include: operation of machinery such as power saws, planers, joiners and shapers. In factories, modern tools and jigs and assembly line methods allow continuous production of high quality residential, office and commercial fixtures. 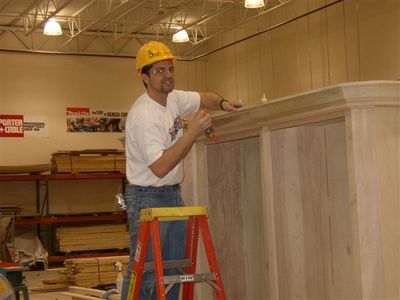 A career in cabinetry requires patience, exacting skill and offers a variety of specializations. Because the work is indoors, it provides a greater assurance of steady work than many other general carpentry tasks. Today, skilled cabinetmakers and millworkers are employed in prefabricating cabinet units and fixtures in plants which are often far from the site of final installation.